I finally got around to deleting the remnants of the mods and install a fresh Paypal Donate button, this time I got it straight from Paypal itself which made the installation and configuration of it quite painless. Hopefully we won't have any problems with it. So for anyone who's been wanting to donate we're all good to go now. 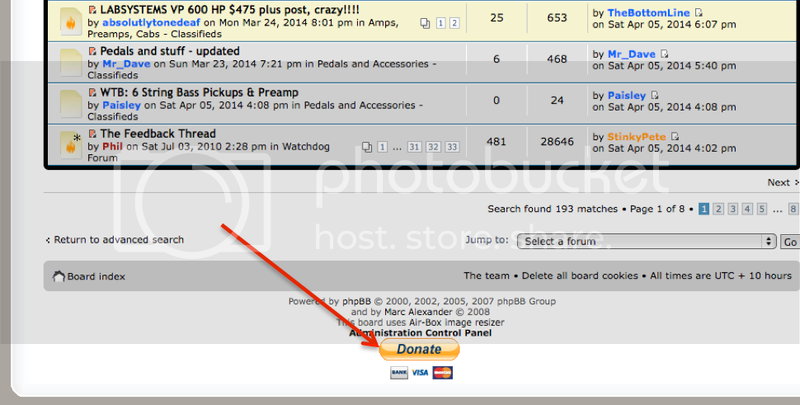 The donate button is located at the bottom of every page on the forum. Yeah sorry, forgot to reinstall it when I updated the forum. I'm at work until next week so it won't be fixed until I'm back home in the beginning of August. Alright, the Paypal Donate button is back on the forum, sorry for the wait guys. It's all the way down at the bottom of every page on the forum. As usual the Supporting Membership with access to the Classifieds section is for a donation of $10 minimum. This is a lifetime donation you won't be asked to donate again in the future for supporting member access.